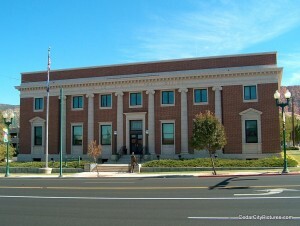 The Cedar City Offices are located at 10 N Main St. City council meetings are held here. This building used to be the post office. 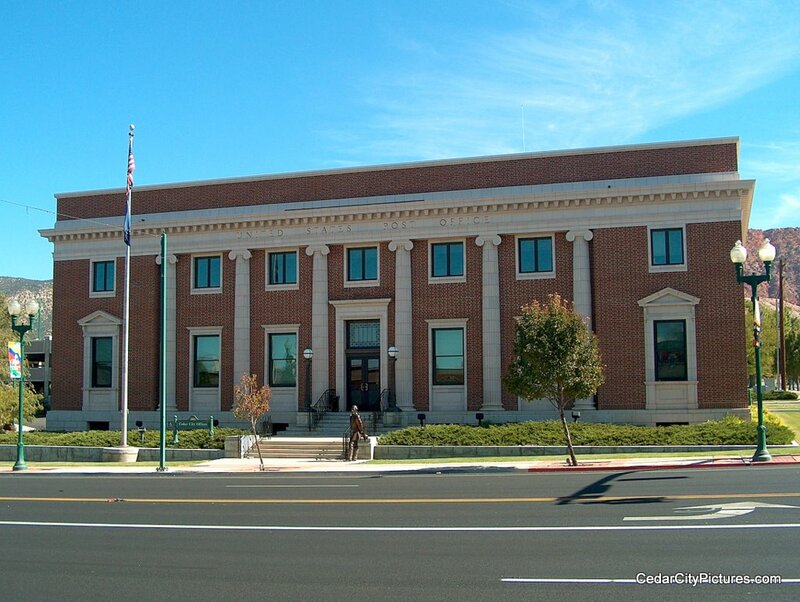 The Cedar City Tabernacle was in this location before the post office was built.